This is it- the last of the financial statement articles. I promised I would write three: one for each of the commonly used financial statements on farms. I am sure some of you are breathing a sigh of relief! 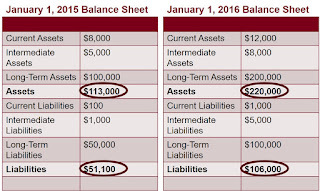 If you recall, I’ve written about balance sheets- first article- and income statements- second article. A balance sheet tracks your assets (cash, land, machinery) and liabilities (loans, mortgages, accounts payable). An income statement looks at your profitability over time. For example, your Schedule F from your tax return is an informal income statement because it lists where you received and spent money. This article will focus on cash flow statement (CFS), the third financial statement. CFS is precisely that: a statement that explains the flow of cash in your business. In other words, how did money move in and out of your business? Where did your income come from? What kind of expenses did you have? 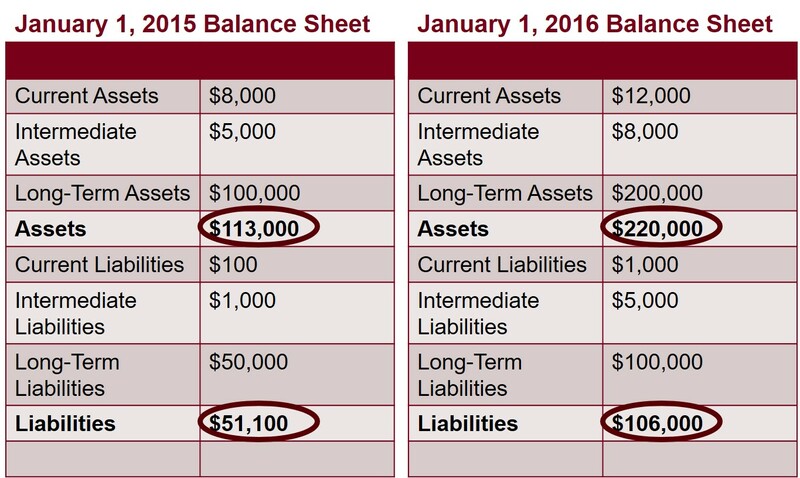 Imagine that you looked at your 2015 and 2016 balance sheets. (See Figure 1) You notice there are changes. Your assets have increased by $107,000 and your liabilities have increased by $54,900. What happened? With a little analysis, you can piece some of it together. Long-term assets and long-term liabilities increased, so it would appear that land was purchased and a portion was financed. You can see the basics, but don’t get the in-depth view. What about the current assets? There was a change of $4,000 from 2015 to 2016. What happened there? That’s not as obvious by just looking at the balance sheet. That is where CFS comes in. CFS helps tie the balance sheet and income statement together. There are three components to CFS: cash from operations, cash from investing activities, and cash from financing activities. (Figure 2) Let’s define these terms a bit further. Cash from operations is the gross cash income and total cash expense. These items can be found by looking at your tax statement, which lists out your income and expenses. Cash from investing activities consists of purchases and sales of equipment, machinery, or land. Think about what you may have purchased in the last year or may have sold. Cash from financing activities are loan payments and withdrawals. It also includes your nonfarm income and family living expenses. CFS is completed for a specified time period (usually annually at the end of the year). It will help you understand where money was spent. How do you know if you have a strong CFS? You’ll have positive cash from operations. This means you have money for investing and financing activities. Your money from operations can be used to buy a new piece of machinery or cover family living expenses. Another good sign is if your ending cash balance is greater than your beginning cash balance. This shows that you were profitable during the time period. A ratio of greater than 1 indicates your operation is generating enough income to cover your debt payments. A ratio of less than 1 indicates that there is not enough income to service debt. Lenders like to see a term debt coverage ratio of 1.25 or greater. In others words, for every $1.25 of income you generate, you can pay for a $1 of debt. Don’t panic- many farms have less than desirable term debt coverage ratios right now. If that’s you and you haven’t talked to your lender, you need to do so. You need to develop a plan. That could be selling an asset, generating additional income, or restructuring debt. If you are feeling confused after reading all of this, that’s okay. Re-read it and try to work through an example. Review the cash flow statement your banker or financial software have produced for you. What do you see happening in your business? CFS is the most difficult statement to understand, but it is very important. This is where you can identify if you have enough money to pay your bills. Additionally, it is one of the first places where financial distress appears. Learn how to utilize this statement and it will allow you to be a proactive financial manager. Times are tough right now. Keep engaging with your lender and farm business manager instructor. Have conversations early and know your options. Understand your business and its finances. If you are interested in learning more about financial statements, please consider using “Interpreting your Financial Statements and Measures”, http://ifsam.cffm.umn.edu/. This is an on-line workshop series that will help you understand your financial statements to more effectively manage your farm. It will go into greater depth than these articles and help you on your financial journey!